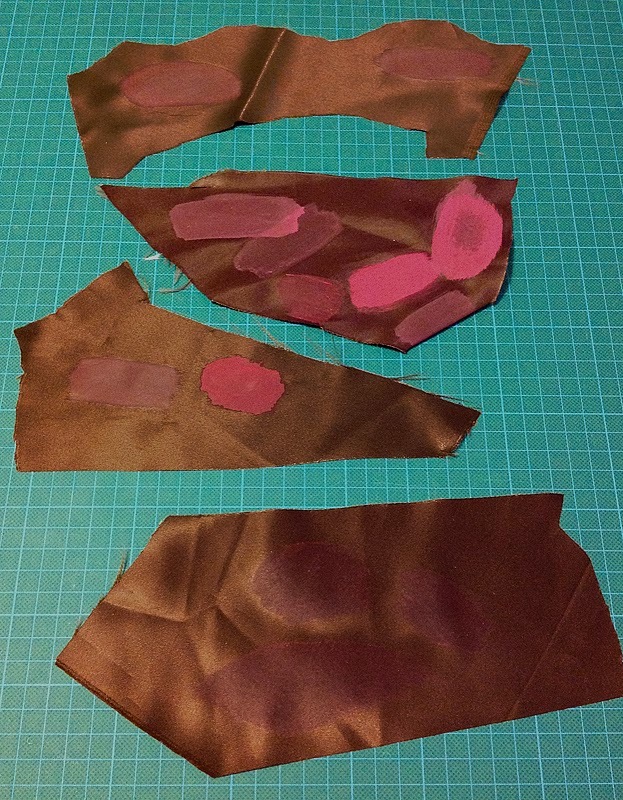 Some photos have been doing the rounds on the net, and I’ve avoided reprinting them here, but the latest was posted by Karen Gillian herself, so I’m kinda thinking they aren’t being seen as too confidential. 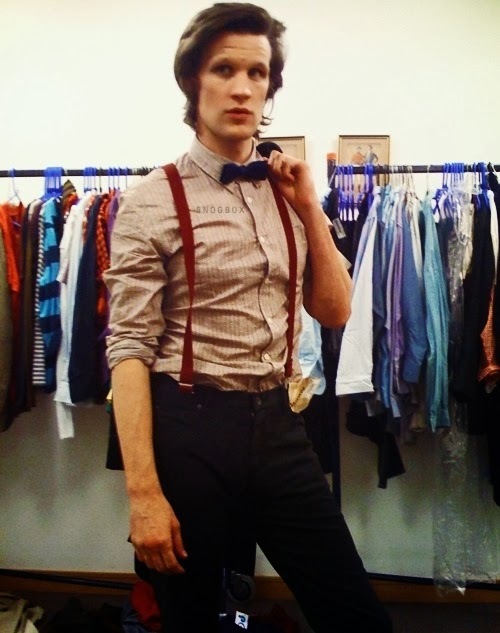 Most of the photos relate to a costume test day held to finalise Matt Smith’s costume as the Eleventh Doctor. 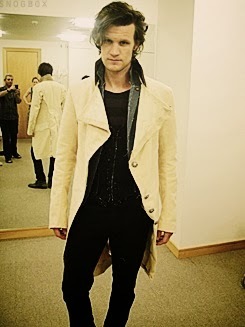 The first shot shows Matt wearing a cream coloured long coat. 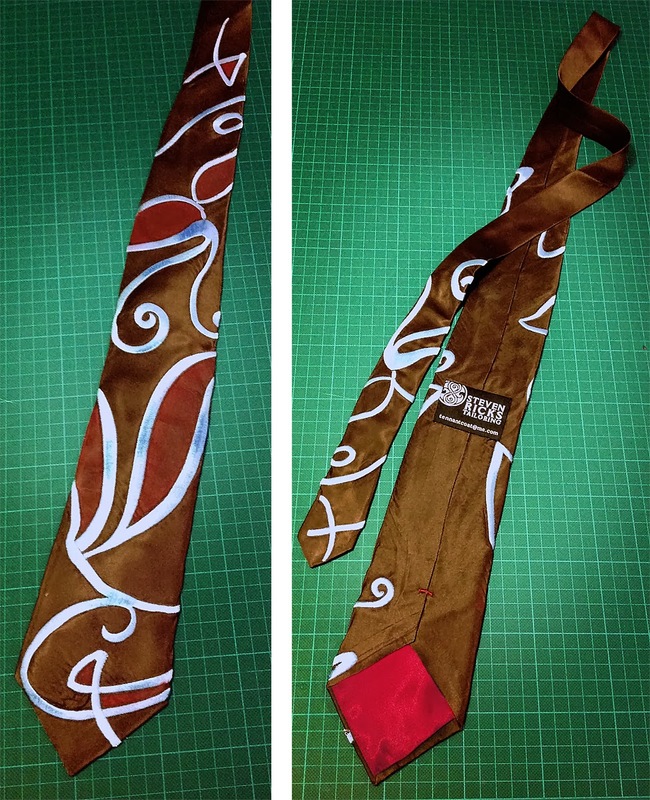 From what I understand this is a costume Ray Holman was developing for the Eleventh Doctor to wear. For whatever reason it was shelved. Ray can be seen in the mirror taking the photo. 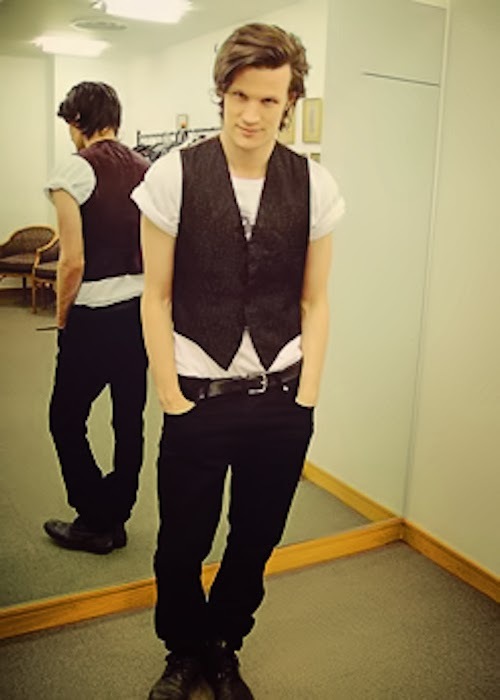 Next Matt is seen in a short sleeved white t-shirt, under a black high-cut waistcoat, worn with black jeans and a leather belt. 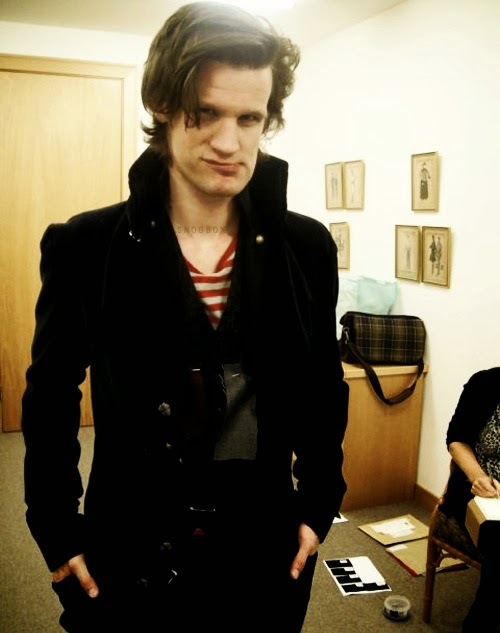 It’s hard to tell, but Matt may or may not be the All Saints boots which were his specific choice. 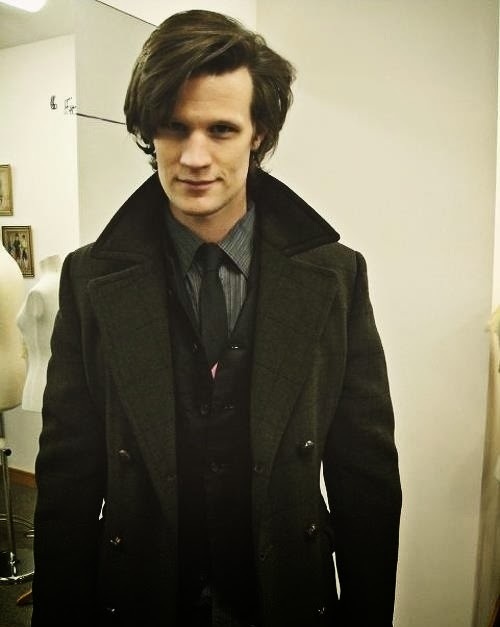 Next Matt adds a simple three-quarter length black coat. 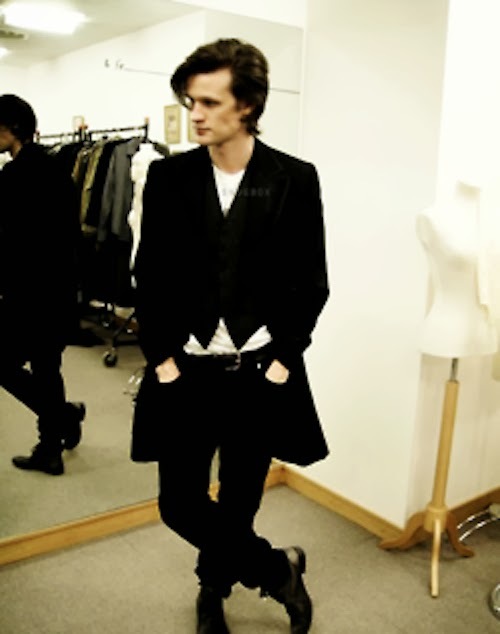 Matt then changes outfit, adding a large dark grey coat, with a grey tie and shirt and the black waistcoat. 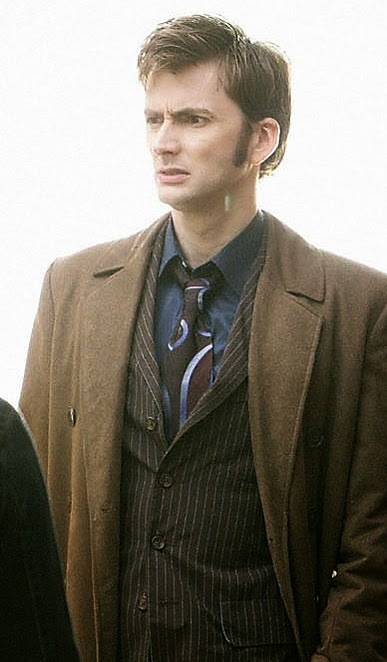 It’s amusing to remember that costume designer Ray Holman also choose the Belstaff coat for Sherlock, and this look isn’t so far removed from that. 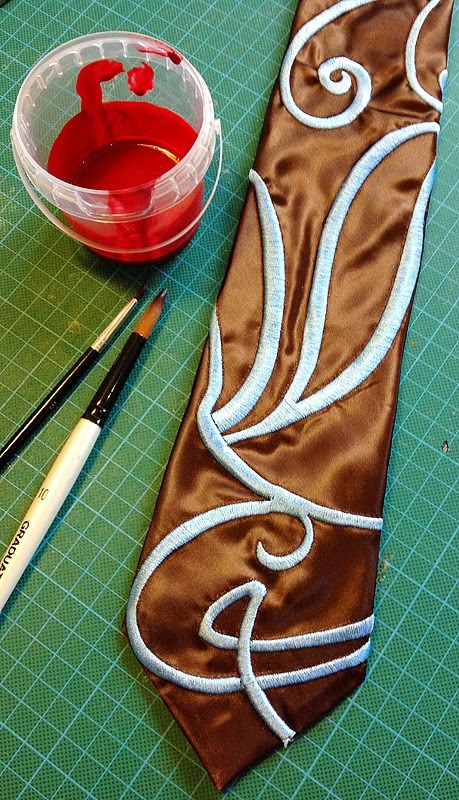 The next look is all a bit piratey, with a red and white striped t-shirt under another waistcoat. 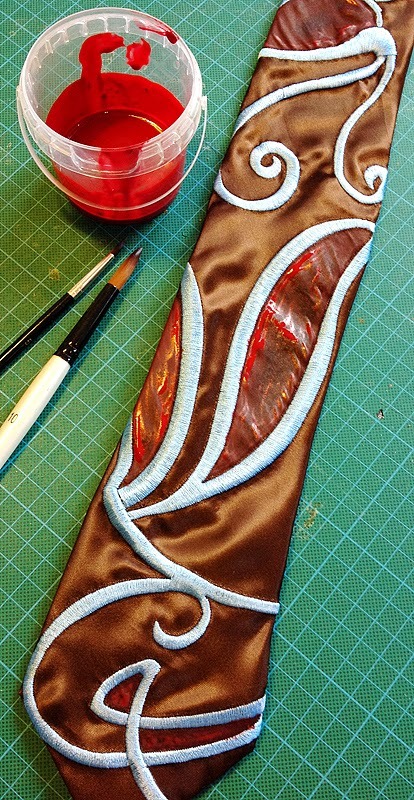 This waistcoat doesn’t have the extended points at the bottom. The jacket over the top has brass military style buttons. 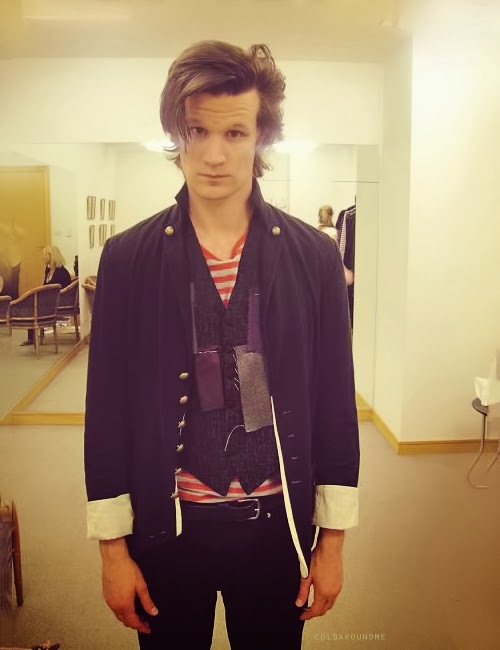 Matt looks less impressed with combining the striped t-shirt with an overcoat. 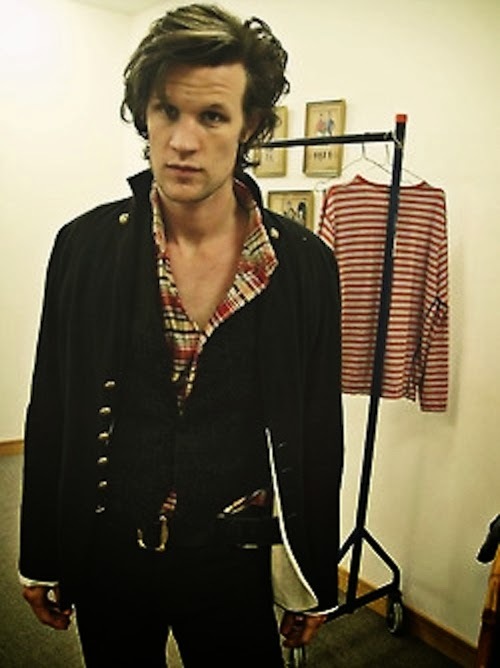 Next Matt changes the the striped t-shirt for a checked shirt. 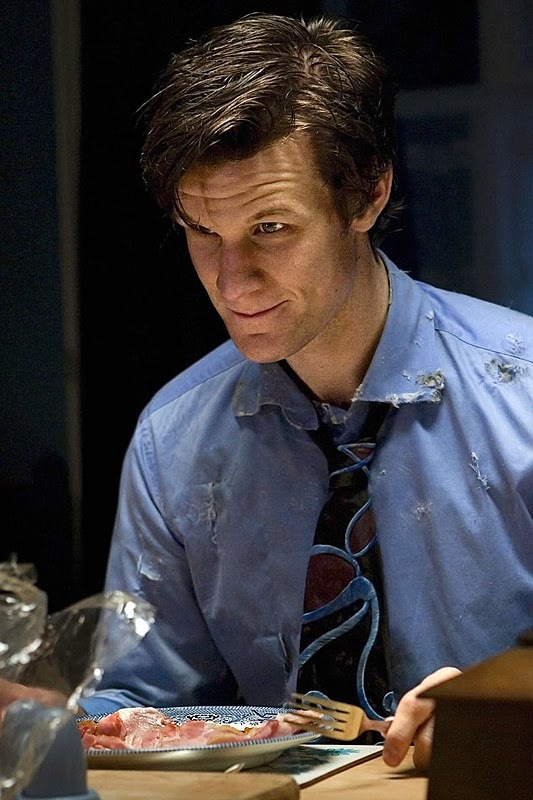 The discarded t-shirt can be seen hanging on the rail behind him. 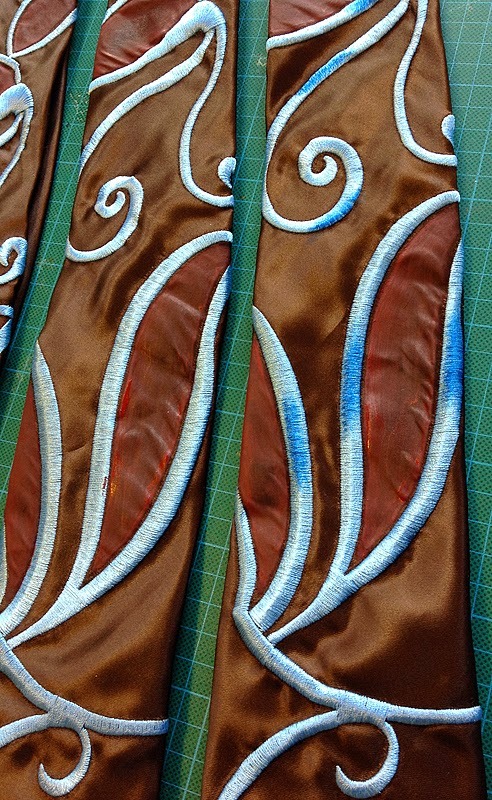 The jacket and waistcoat look to be the same - don’t be distracted by the very different lighting between this and the previous shot. 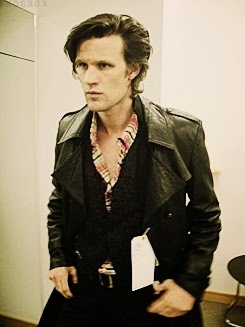 Matt then switches the brass-buttoned jacket for a leather one. The Doctor is in the building! 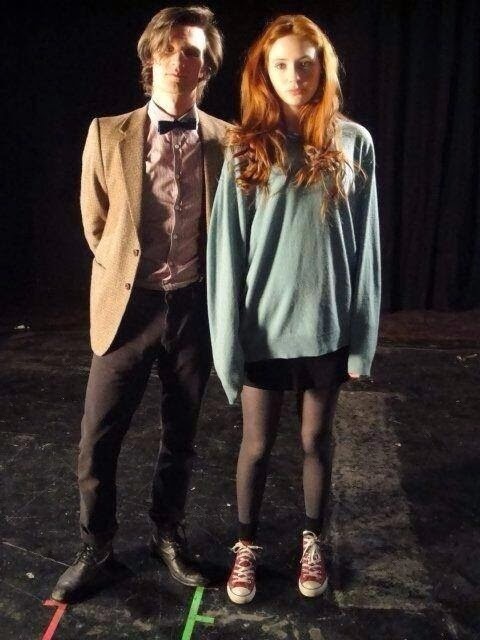 The last photo, which Karen Gillian posted on Twitter, is the very first time Matt and Karen were taken together in full and final costume. 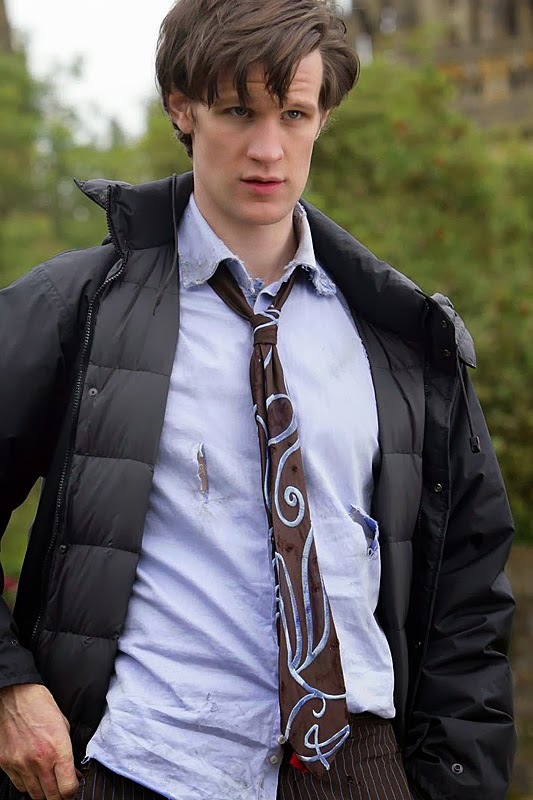 Matt’s jacket is the Harris Tweed seen in Time Of Angels and if you look closely he is wearing a blue bow tie with the burgundy shirt (as above), a colour combination never seen in series five.